MIT researchers have developed a deep learning system that can identify objects within an image, based on a spoken description of the picture, in real time. Give the model an image with an audio description, the system will match the relevant regions described in the audio. Using NVIDIA TITAN Xp GPUs with the cuDNN-accelerated PyTorch deep learning framework, Harwath and his team trained two convolutional neural networks on 402,385 image/caption pairs. One of the CNNs processes images and the other processes spectrograms. The team uses the same GPUs for inference. 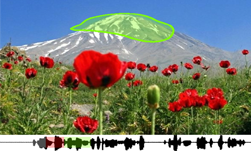 What makes this process unique is the fact that Harwath and his team do not use conventional forms of speech recognition or object detection. Instead of learning fixed points in an embedding space, the neural network learns representations that are distributed both spatially and temporally, the researchers said. The network has a vocabulary of 44,000 words and was trained on speech from over 2.500 speakers. The work was recently presented at the ECCV conference in Munich, Germany, and the code and dataset have been published online.